Rick generally blogs every other Tuesday on operational, strategic and current issues and trends facing the nonprofit and philanthropic services sectors. Rick was involved in the creation of Operation Kids and has been at its helm for eight years. He brings 30 years experience in media, live events and television/film production, as well as lengthy experience in strategic consulting, business plan development, image campaigns and cause marketing and sponsorship programs for dozens of national brands and charities. Read more. Don generally blogs every other Tuesday on donor, sponsor and funds development in the nonprofit arena. 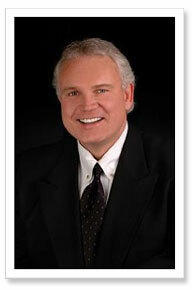 Don brings 25 years of client management and development experience to Operation Kids. He began his career at the National Basketball Association where he participated in the launch of the NBA Stay in School campaign. He gained extensive nonprofit experience at Children’s Miracle Network, the Massachusetts Sports & Film Partnership, and the Salt Lake 2002 Olympic Winter Games. Read more. Christopher generally blogs every other Thursday on giving trends, analysis and charitable accountability and impact. Christopher’s experience includes serving in the lead White House office for nonprofit policy issues. While there he played a pivotal role analyzing data and reporting trends on more than 25,000 nonprofits who partnered with the government in providing social services – representing billions of dollars. In this capacity, he also gained extensive policy experience on issues such as refugee resettlement, childhood mentoring, and prisoner re-entry. Read more. Sara generally blogs every other Thursday on issues facing children and families. Her experience includes a decade in integrated communications developing strategic media relations and grassroots campaigns, merchandising and brand development, event and tradeshow planning, search engine optimization, marketing education, market research and analysis across a broad spectrum of industries in the corporate, nonprofit and academic sectors. She has developed, grown and managed award-winning brands, campaigns, and projects to establish identity, expertise and awareness to increase return-on-investment and revenue. Read more.